Do you feel like eating italian pasta, but tomato-based pasta sounds too mainstream? This week I bought some items out of our normal shopping list, like fresh basil leaves, olives pickle, pesto and eggplant. 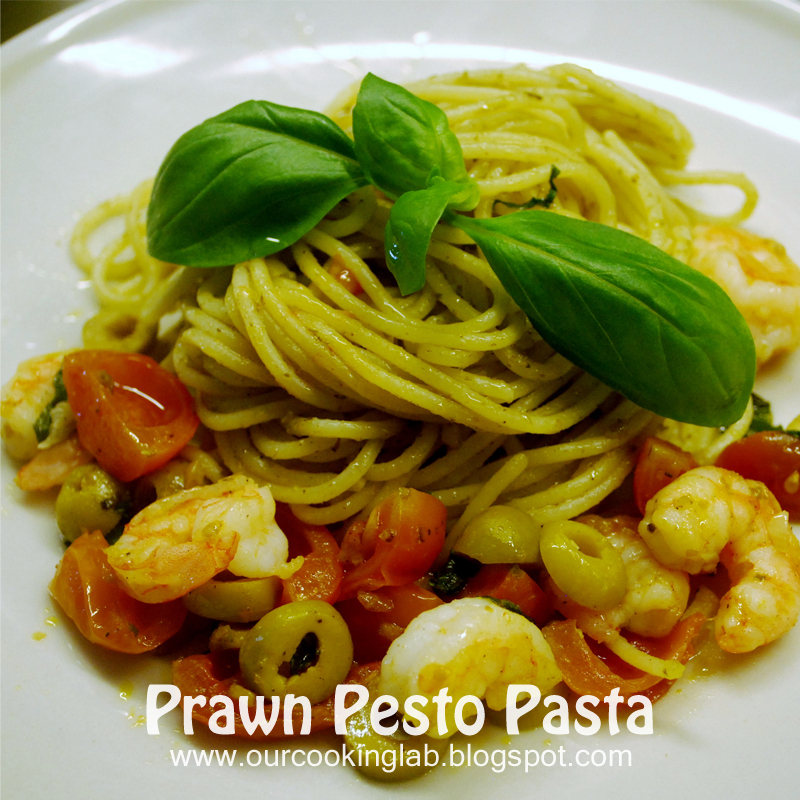 So I decided to cook my own version of prawn pesto pasta. Put a medium size pan in a medium heat and add 1 1/2 tbsp of olives oil. Put minced garlic, prawns, and tomatoes. Each ingredient is placed separately on the pan. 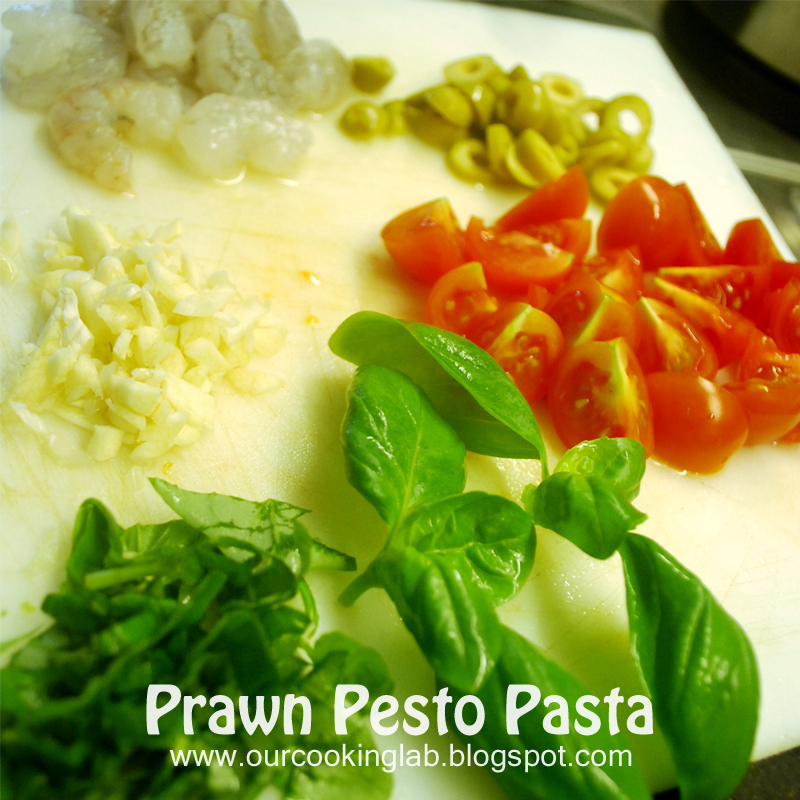 After a few seconds, turn prawns so they are cooked evenly. Season with salt and pepper. Add chopped basil leaves and sliced olives pickle and stir. Make a well at the centre of the pan, then add the cooked spaghetti. 8. 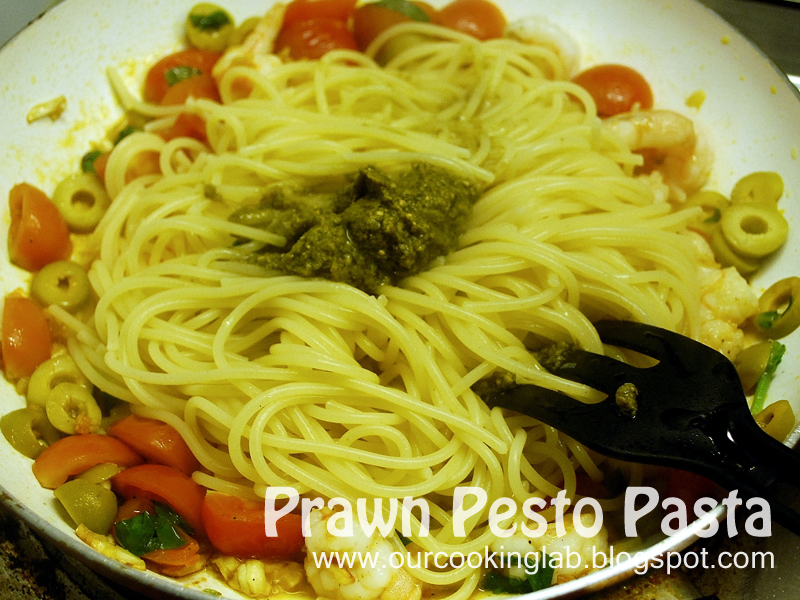 Add pesto and stir until evenly spreaded. 9. Move into serving dish and top with the rest of fresh basil leaves. I really love the color combination in this dish. 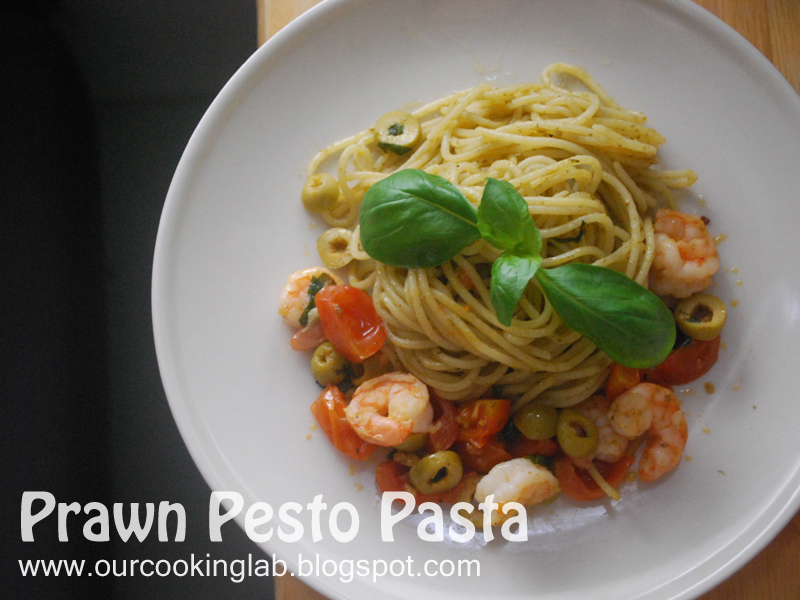 Pink prawn, yellow spaghetti, red tomatoes, pale green olives, and fresh green from basil leaves on top. Simply Beautiful. And the most important thing is how it tastes. The pesto spaghetti is a little bit bland at first, but sweetness of prawn, saltiness of olives and freshness of cherry tomatoes complete the dish. I'll surely try to cook pesto pasta with different combinations of protein and vegetables next time.